While medical malpractice can be difficult to prove, it can be especially difficult to prove such claims in Canada. Research suggests that in Canada approximately 70,000 people a year suffer from a preventable, serious injury as the result of medical treatment, and another 38,000 to 43,000 people die annually as a result of medical malpractice. Despite these statistics and the known issue of doctors failing to perform the functions of their job correctly thereby injuring patients, little is done to hold medical professionals responsible for the harm they cause. While the difficulty victims of medical malpractice in Canada have to win a lawsuit against those who harmed them are not new and have been a topic of discussion with Canadian lawyers and the Canadian Bar Association for some years, it is difficult to pinpoint a single reason as to why plaintiffs struggle. Based on the way courts receive medical malpractice claims, some might say that there is a greater aim to protect doctors rather than patients. lawsuit are. Canadian doctors accused of medical malpractice are all represented by the same non-profit organization, Canadian Medical Protection Association (CMPA), which is reported to have roughly $2.8 billion in assets. Since the CMPA has money, it can withstand costly legal battles. 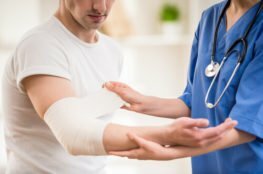 This is in sharp contrast to the victims of medical malpractice who are often debilitated by their injury, may be facing a lengthy and expensive rehabilitation, and may be unable to work. Unfortunately, this discrepancy in power sets the stage for victim’s rights to be ignored and their claims to be dismissed, as they, ironically, do not have the financial ability to seek compensation. It is difficult to say how many medical errors occur in Canada each year because reporting can be inaccurate as fear of legal, and other, repercussions may discourage medical professionals from reporting errors. Advocates of patient safety say that accurate reporting of errors is necessary to prevent similar mistakes in the future and encourage a revamping of the system now used to report mistakes. Proponents look to other arenas such as aviation and police conduct, where near misses of death and errors are reported and studied in hopes to prevent similar mistakes in the future from occurring. While implementing a better reporting method for medical errors has been a topic of discussion and the Canadian Medical Association voted for a review of the medical liability system in 2017, as of yet little has been done to change it. It has been noted that Canadian courts overall are a bit conservative when it comes to allowing a damage award. Even on occasions when compensation for damages is awarded, the precedent in Canada is to determine the amount of compensation a victim deserves based on their monetary losses, not necessarily on the victim’s pain and suffering, and the wrongdoing of the defendant. The Canadian Supreme Court has limited the amount of non-monetary, pain and suffering damages that a victim may be awarded to roughly $350,000. While the laws and policies regarding medical malpractice claims are the same throughout Canada, a recent examination of medical malpractice lawsuits and awards indicates that there is a significant discrepancy across Canadian provinces in regards to how the law is applied. Whether a medical malpractice claim is heard is one issue. It is estimated that approximately one-third of medical malpractice cases are dismissed by Canadian courts each year. Also, to how much compensation a victim is awarded varies widely across provinces. A recent examination of medical malpractice awards for the past ten years found that while $1.74 million was the most significant damage award to a victim who suffered severe brain damage as a result of medical malpractice in Alberta, a similarly situated victim in Ontario was awarded $10.9 million. Further awards indicated a pattern that medical malpractice patients were likely to receive the least compensation for their injuries if their trial was in Alberta and receive the most considerable amount of compensation if their trial was in Ontario. Even though different reasons have been advanced for this discrepancy, such as the fact that more cases are appealed in Alberta, and there is a cultural attitude that a family takes care of their ill, advocates of victims of medical malpractice want to see the laws applied more consistently throughout the country. If you have been harmed by medical malpractice, know that help is available to you. Having an experienced Toronto and Ontario lawyer on your side is crucial to getting the justice you deserve. At Mazin & Associates, PC, we are dedicated to fighting to hold those accountable for their actions and ensuring that people like you get the full and fair compensation they deseve. If you have suffered an injury as the result of medical malpractice, contact the experienced team at Mazin & Associates, PC today by calling (416) 625-2122. The Auto Accident Glove Compartment Checklist What Are the Elements in a Personal Injury Case?